Liberal Leader Michael Ignatieff is being asked to denounce a B.C. 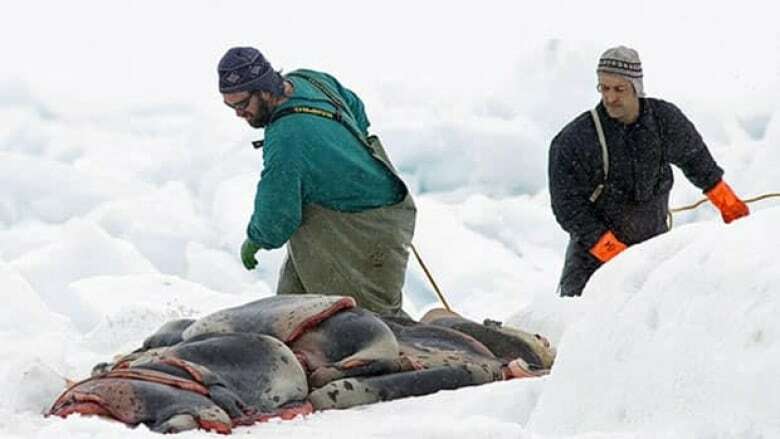 Liberal's efforts to halt Canada's commercial seal hunt. Liberal Leader Michael Ignatieff is being asked to denounce B.C. Liberal Hedy Fry's efforts to halt Canada's commercial seal hunt. The request comes from by federal Conservative candidates in Newfoundland and Labrador. They issued a statement to Ignatieff on Tuesday morning, as the Liberal leader was campaigning in their province. Loyola Sullivan, the Conservative candidate in St.John's South-Mount Pearl, said in the statement that he has fought for the commercial seal hunt as a former federal fisheries ambassador. Sullivan criticized what he said is a Liberal plan to halt the hunt. "Unfortunately, it appears that work is underway from within the Liberal party to advance the cause of the extreme animal rights groups who target our province in their propaganda," Sullivan said. The Tories released a recent letter written by Fry, a long-time B.C. Liberal MP. In it she said she is opposed to the seal hunt "conducted solely for the purposes of selling pelts for clothing." The letter said she supports a limited hunt for traditional food purposes. "I have written to the Minister of Fisheries asking her to take whatever measures necessary to end the current commercial seal hunt." said a copy of Fry's letter . "I am also discussing this matter with my colleagues in the Liberal caucus to build support for taking steps to end the hunt." The letter is dated March 16, 2011 and the recipient's name is blacked out. The email is sent from Fry's parliamentary email account and the subject line reads: "RE: Harp Seal Action Month in Nanaimo, BC." In March, Canada announced it would challenge the European Union's trade ban on seal products at a World Trade Organization dispute panel. Twenty-seven European countries have passed a resolution to ban the import of seal products in 2009, based in part on public opposition to the contentious seal hunt. Canada's position is the annual seal hunts are humane and argues the seal ban violates the EU's trade obligations.